Giving birth is an amazing experience and right of passage. After birth, you are a part of a new league of warrior women who’ve gone through this shared experience. It’s both a mental and physical ordeal with the ultimate reward at the end, a beautiful baby. Having a baby is such an exciting time! 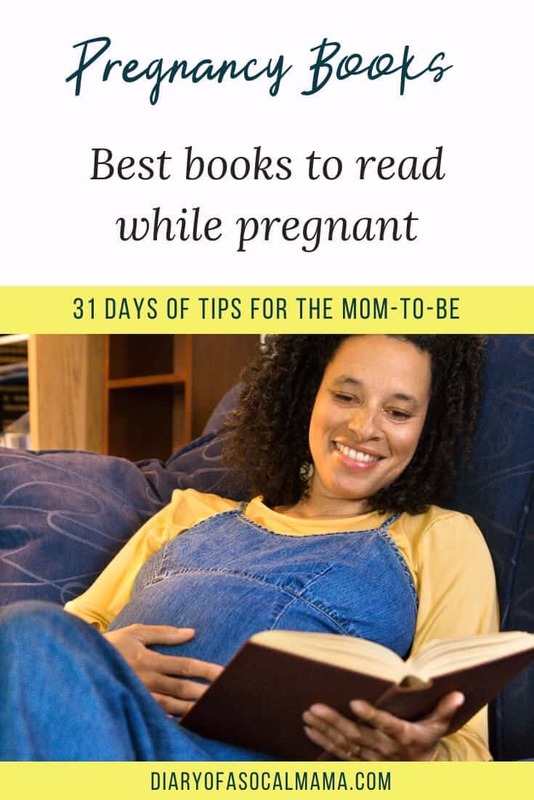 If you’re like me and love to read and learn everything you can ahead of time then you need this list of best pregnancy books for first time moms. They’ll help to prepare you for pregnancy and giving birth. 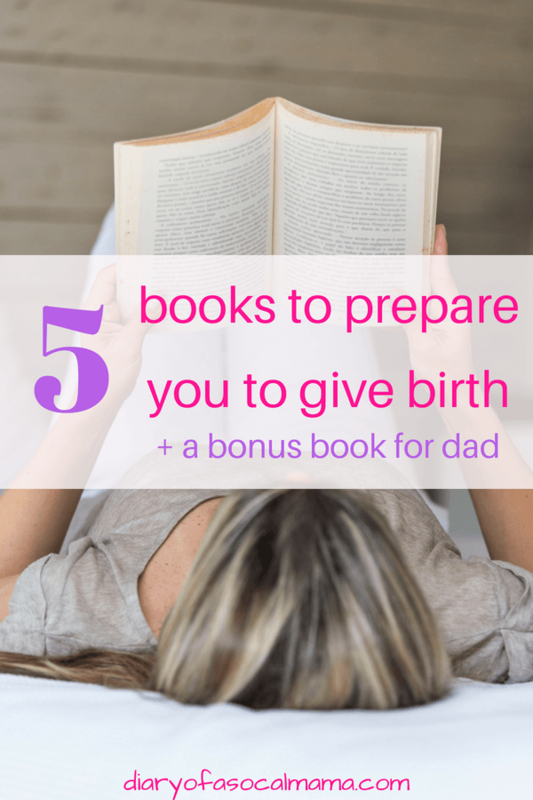 If it’s not your first rodeo they’re still great books to read while pregnant! This post contains affiliate links. All titles are ones I personally like or that were recommended to me by ladies in my mom group. If you make a purchase through one of my links I may earn a commission at no additional cost to you. This is post 9 in the 31 days of tips for moms to be series. “Consider this your invitation to learn about the true capacities of the female body during labor and birth.” In Ina May’s guide to Childbirth, you explore the true power and ability of the female body and you can’t help but feel empowered. This is the best book to read while pregnant! The book centers around “The Farm” a unique place where many women come to give birth with a set of talented midwives. Even if you don’t plan to pursue a natural birth, reading all the birth stories of these women is so empowering. The stories vary greatly but each gives you a glimpse at the amazing ability of the female body to bring life into this world. (Fair warning this book does contain graphic photos of birth so be prepared for that). This book looks so fun! It’s a practical, down to earth book that will take you through the entire process of pregnancy, from before you conceive all the way to birth. It’s a perfect pregnancy book for first time moms. It will even try to explain wacky things like why doctors consider the beginning of your pregnancy to be the end of your previous cycle, even though you clearly are not pregnant at that time. It’s great to have approachable answers to all your burning questions. The book also includes “Doctors Orders”, snippets from a real doctor, so it’s not all just anecdotal information. Great with Child is a heartfelt batch of letters written from one mom to another. It’s not so much an educational resource as one to make you feel warm and fuzzy inside…let’s face it, with those pregnancy hormones it’s probably going to make you cry at least once. The letter format also makes it easy to digest as it’s broken into short pieces. I actually took birthing from within classes to prepare for my pregnancy. It’s definitely a crunchy philosophy but I surprisingly enjoyed it. England’s book focuses less on the destination of giving birth, and more on the journey of becoming a mother. It explores pain coping mechanisms to help you cope with labor without drugs if that is your desire. If you are a crunchy mama or enjoy meditation and self-evaluation this might be a great choice for you. The Informed Parent is a must for the science-minded mama. This book looks at the facts surrounding various parenting topics and decisions. The authors examine different studies before coming to a conclusion based upon the facts. They also throw in information about their own choices regarding birth and child raising. I’m an ex-bio major myself and love evidence-based information…so if you are nerdy like me this one is a must read! This book was recommended by our doula as a great book for expectant fathers. It was great for my husband to read as he prepared to be my partner in the birth process. Let’s face it, birth is not something you really want to walk into blindly…that’s how you end up with your fainting spouses! Most men aren’t going to go crazy searching for information on Pinterest or Google, but if you put this by their nightstand they should be able to gain some knowledge over 9 months. Once your new little one is here grab these best books for new parents for your library. Great books for expecting moms! I wish some of these were around when I had my first! The Informed Parent definitely looks interesting. 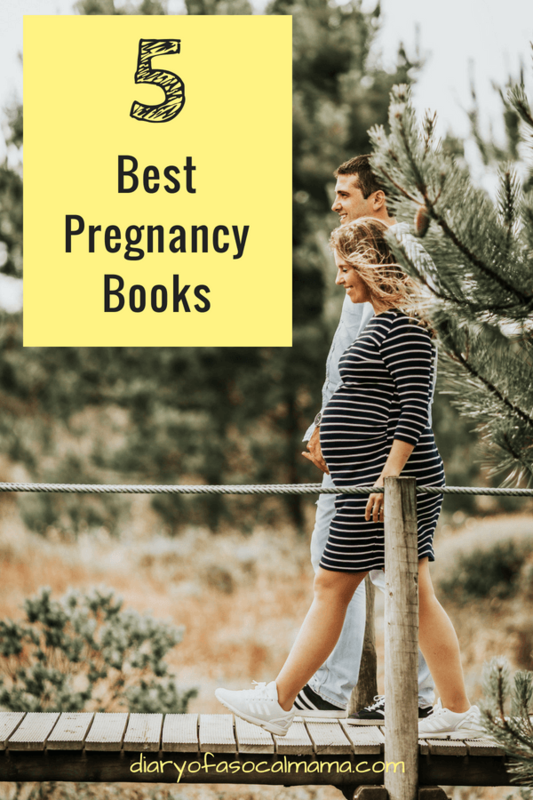 Ooh great recs, would have been good to read some of these pregnancy books.